The Senior Interclub has two divisions, "A" and "B," which is designed to encourage participation from higher handicap golfers from each club. The “A” division may include golfers of any handicap index, while the “B” division may include only those with a handicap index of 8.0 or higher. The two divisions compete only against players in their same category. Final results reflect the outcome of both divisions of play. The Handicap Index effective date for this event is August 15, which applies for the duration of the championship. All matches are played at scratch. Who says there's no fun after 55! 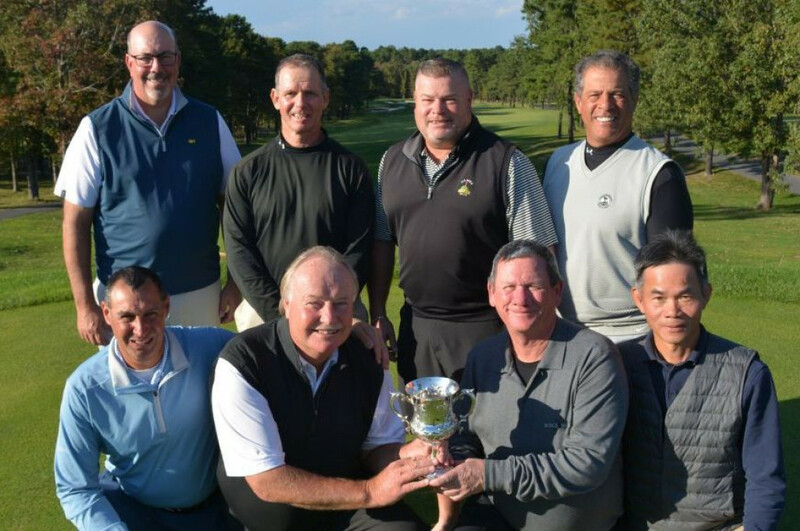 The NJSGA Senior Interclub is a time to visit new courses, make new friends and get the competitive juices flowing. Over a six-week period, four teams meet each other in section-play matches to determine the winner of their section. The section champs then participate in the Senior Interclub Final. The success of the event rests in the hospitality of the host clubs and the camaraderie of the participants. It's a terrific culmination to the golf season.